Experience Victorian Glamour as you embark on a guided tour of the mansion. Tours begin regularly from the visitor center. Visits to the mansion take place on guided tours and depart at the top of the hour. We suggest arriving at least 5-10 minutes before the tour to purchase tickets. The guided tour lasts about one hour. Spending additional time is recommended for self-guided exploration of our grounds, outbuildings, and Fur Trade Museum. Villa Louis is located in Prairie du Chien, a National Main Street Community just three miles above the confluence of the Wisconsin and Mississippi Rivers. It is the oldest European settlement on the Upper Mississippi. On-site vehicle parking is available for FREE at Villa Louis. The parking lot is located at the front entrance of the site. Find a variety of unique, Victorian Era inspired gifts at the Villa Louis Museum store. There are many campgrounds, motels, cabins, bed and breakfasts, restaurants and unique retail stores to compliment your visit to Villa Louis.  Visit Travel Wisconsin for more information. Villa Louis is located on 25 acres of parkland along the Mississippi River. Wheelchair access is available to the Fur Trade Museum and restrooms, the first floor of the Villa Louis mansion, and the restrooms located near the mansion. For more information regarding access to buildings, grounds and programs, please contact Villa Louis at 608-326-2721. No pets are allowed on the grounds. Service animals are permitted for persons with disabilities in accordance with the Americans with Disabilities Act.